Preventing Hangovers – Putting it in very simple terms, it is the freshness of cucumbers that works to counter the worst of hangovers. In more technical terms, it is the B vitamins and the electrolytes that play their part. If you are sure that you are likely to wake up nauseous and with a heavy head, munch on a few cucumbers before getting to bed. Can Prevent Alzheimer’s – Cucumbers contain a certain variety of Flavonol called Fisetin which prevents learning and memory impairment which again is one of the most important symptoms as well as effects of Alzheimer’s disease. So if you include cucumbers in your everyday meals, you can be safe from the risk of developing this debilitating condition. Counters Stress – Thirdly, accumulation of toxins in your system creates physical and mental stress. Cucumbers are known for flushing out toxins and hydrating the body which in turn goes on to reduce rather eliminates stress. Prevents Cancer – The credit goes to a certain phytonutrient called Lignans that have been seen to reduce the risk of cancer. Considering the present rate at which an alarming section of the world population is living under the threat of developing cancer, the least that you can do for the sake of your health is to include a cucumber in your everyday meals. Soothes GI System – Cucumbers are 96% water. They are light and rich in B vitamins and electrolytes. There is no better natural solution for soothing the GI system than munching on a cucumber. 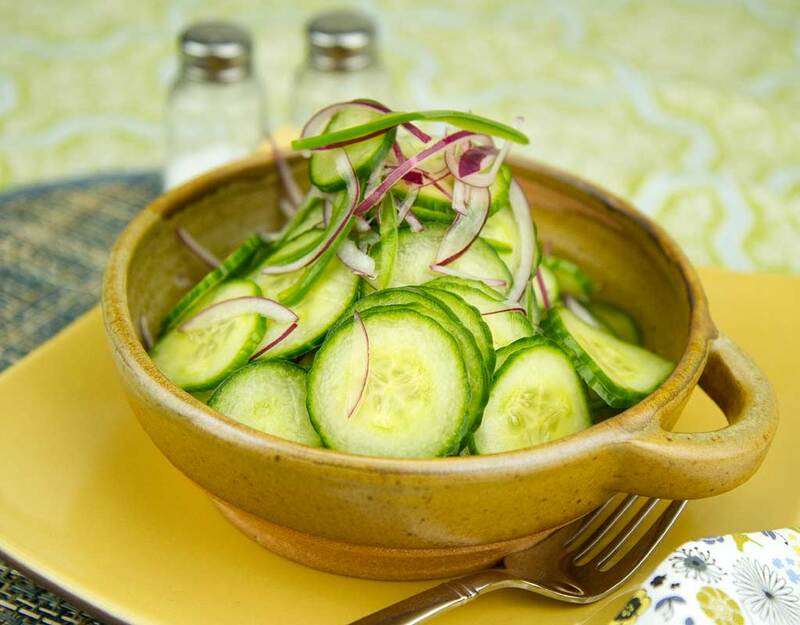 Cucumbers are known for countering gastrointestinal issues like acidity, ulcers, constipation etc. At the same time, the cooling effect cucumbers have on your gut goes on further to reduce bad odor in your breath! Counters Cholesterol Issues – To begin with, cucumbers contain zero cholesterol. So, no matter how many you eat, you will never be at risk of piling up on cholesterol. At the same time, a certain compound called sterols present in cucumbers has been seen to reduce excess cholesterol. This makes this wonder vegetable a perfect natural health solution for people with blood pressure and heart condition. Solves Eye Issues – Strained eyes can do better with the aid of cucumbers. All you have to do is cut two thin slices and place them on your shut lids for about 10 to 15 minutes. At the end of these 10 to 15 minutes, your eyes will be fresher, feeling lighter and with the additional benefit of losing the dark circles!